One thing I love about having others write guest posts is that I get to explore a completely unfamiliar destination from the comfort of my office. Nichola at Globalmouse Travels was kind enough to share why Cornwall is a must see UK destination for families. We have actually considered visiting before and even tried to make it there on our last trip to the UK before diverting to Wales because of transportation issues. 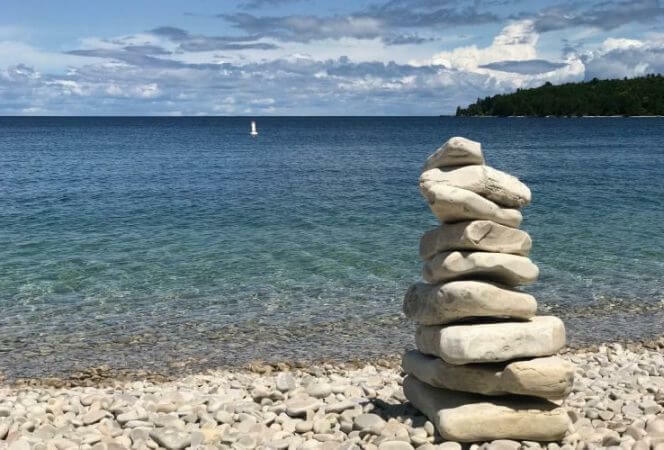 I’m glad Nichola wrote this post because it once again reminds me of how I want to visit the area and explore all of these wonderful places firsthand. 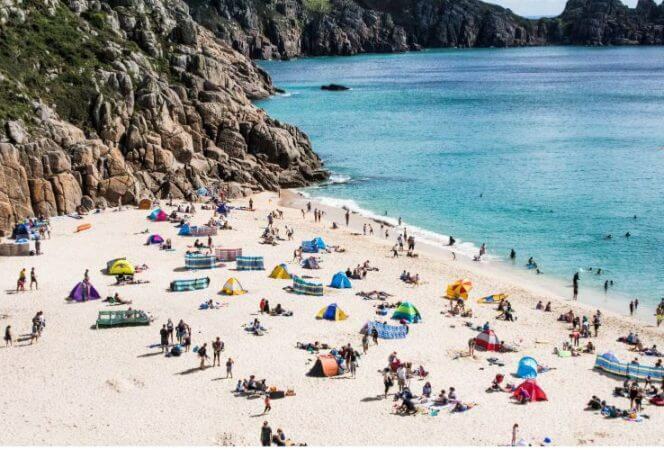 There’s little doubt that Cornwall is one of the most popular destinations in the UK for families. It’s one of our favourite places to visit with its golden sandy beaches, classic cream teas and a history packed with pirates and plundering, for us it is a must visit county throughout the year. The beaches across Cornwall’s north and south coasts are somewhere we love to get our buckets and spades out for. There are over four hundred beaches in total, many perfect for kids and families. There’s lots of fun to be had, whether sand castle building and rock pooling, right through to learning how to surf at Fistral Beach near Newquay. With some of the best weather in the UK during the summer its the ideal spot to relax, unwind or lose yourself in the evocative and expansive coastline. 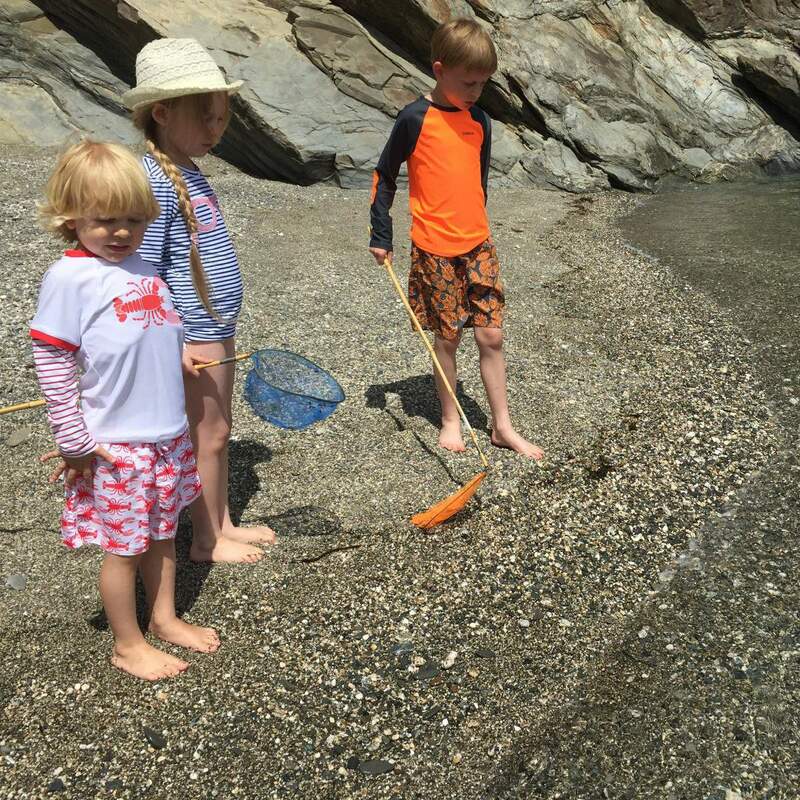 My children have spent hours with their nets at the ready, catching shrimp and baby crabs in amongst the craggy coastline here. Cornwall is a great spot for families to hit the water too, with a wealth of water sport opportunities or simply taking a trip out across one of the many rivers. 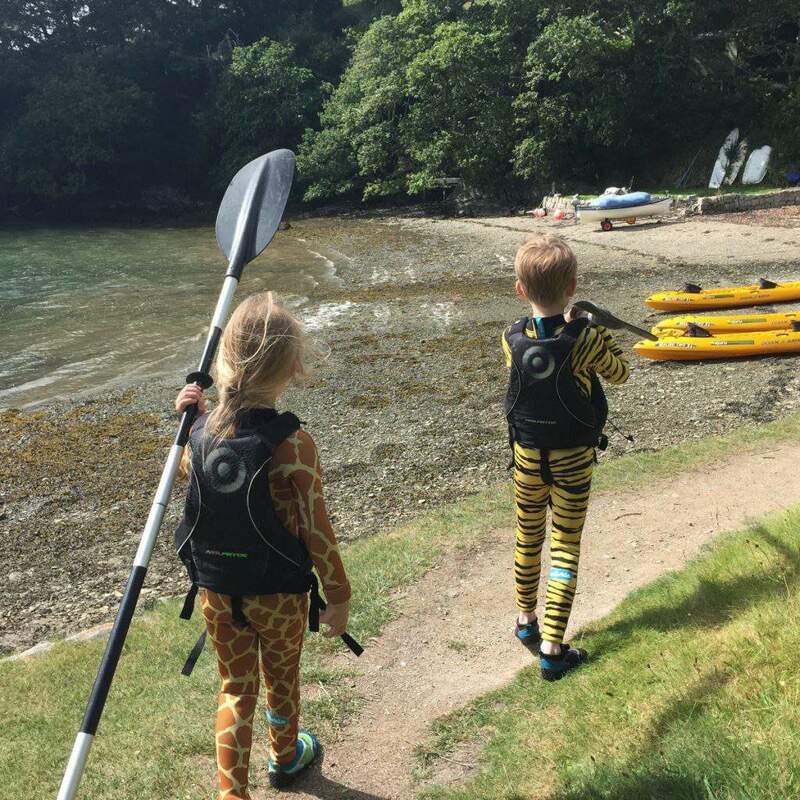 The team from Koru Kayaking provide the ideal introduction for children learning how to paddle. You can join them for private escorted sessions along Frenchman’s Creek, made famous in the Daphne Du Maurier novel of the same name. We loved the opportunity to learn more about the coastline with them and also to find out about the local sea life as we paddled around. The sparkling calm waters of the creek and Helford River, south of Falmouth are neighbours to one of my favourite gardens that are open to the public. Trebah Garden, created 200 years ago by a wealthy Quaker, has flora and fauna dating back over a hundred of years, and now includes wonderful giant rhubarb which stand towering over your head, four miles of glorious paths and children will love the wooden fort and Tarzan camp surrounded by ancient trees. The beach, which served as an embarkation point for over seven thousand soldiers from the 29th US Infantry Division as they headed for the assault landing on Omaha beach in the second World War, is a tranquil spot to stop, relax and reflect. 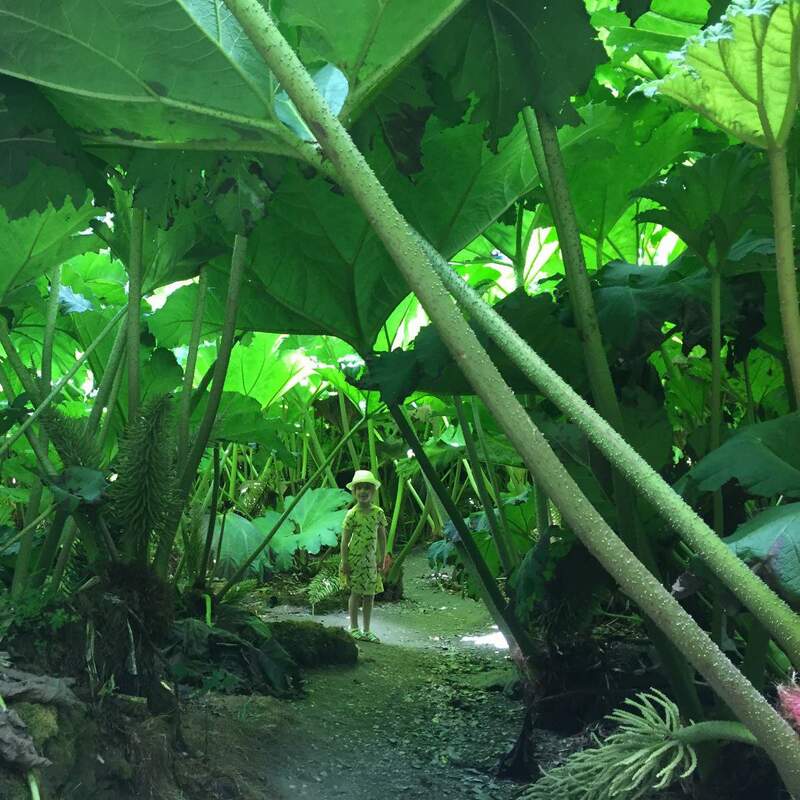 Under a giant rhubarb in Trebah Garden! Cornwall’s history as a mining county is well documented and there are a number of tin mines which now serve as museums documenting the lives of the men who worked them, and it’s possible to head underground in the Geevor Tin Mine for a hard hat tour with former miners. It’s also possible to visit and explore the only Cornish mine buildings that are home to a historic working beam engine – the only one of its kind in the world still in operation on its original site. Fans of the recent BBC television series Poldark, which charts the life of a dashing and spirited 18th century Cornishman, will recognise it as the location of Poldark’s mine. 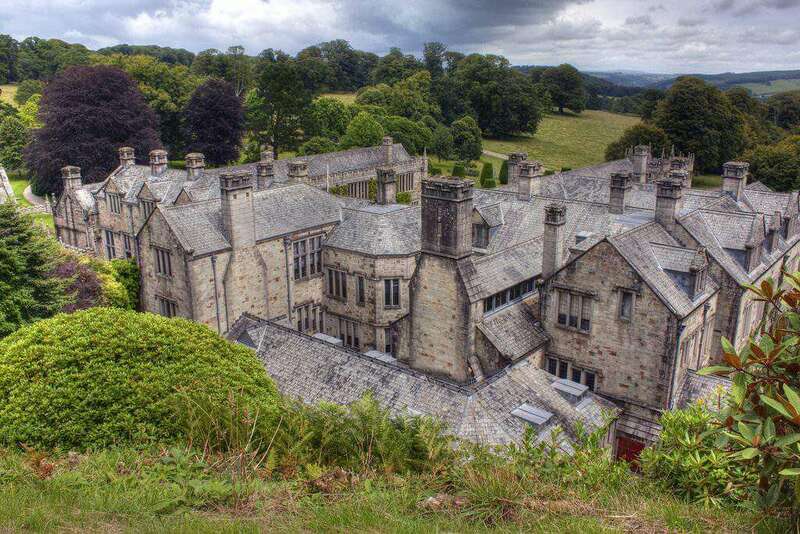 Many of Cornwall’s historic homes and castles are protected and preserved thanks to the work of the National Trust and our favourite is the 19th-century stately home Lanhydrock House. The Victorian country house situated in 450 acres of woodland is set out as if still inhabited by the Agar-Robartes family, one time owners of the estate. It is a fascinating insight into life above and ‘below stairs’ and children will be amazed at being able to explore the kitchens and servants’ quarters, which feel as if the family and staff have all stepped outside for a brief moment. In a disused Cornish Clay pit the world famous Eden Project has grown into one of the county’s most important and breath-taking destinations for tourists. Massive biomes (think huge curved greenhouses!) 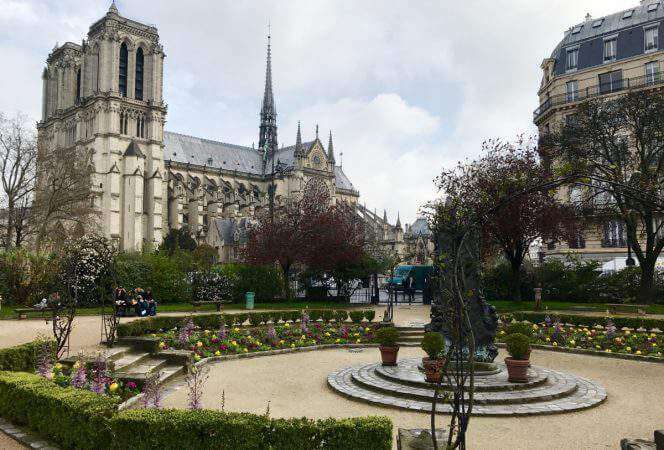 are home to a rain forest, Mediterranean and desert landscapes which children will love to explore and be astonished at the most stunning plants and trees. The visitor attraction also hosts live music concerts and events for families throughout the year. Cornwall is famed for its food – from pasties to fish and chips. Each of the villages and towns around the coast could lay claim to being home to the best fish and chips shop in town, and there are plenty which deserve the honour, but Becks in St Ives has the edge for us. I also adore the pasties from The Chough Bakery in Padstow on the North Cornwall coast, which are packed full of flavour and absolutely delicious. The end to any vacation in Cornwall must be marked with a Cornish cream tea and the Polpeor Cafe at Lizard Point, the most southerly tip of the county boasts brilliant scones, jam and cream and views out across the sea to match. Cornwall will always be somewhere we return to – whether its rock pooling after a winter storm or spending sunny days with ice creams and sun hats there is always something to draw us back. It’s one of those places that childhood memories are made from. 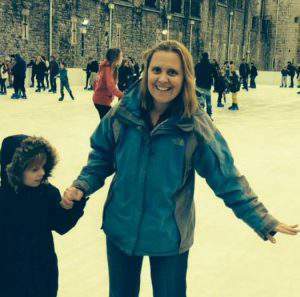 I can definitely say Nichola has shared many things I would love to see with my family. Have you visited Cornwall? What would you like to see there? Nichola West is a travel journalist and editor of Globalmouse Travels, which features family travel across the world and also extensively in the UK where she is based.